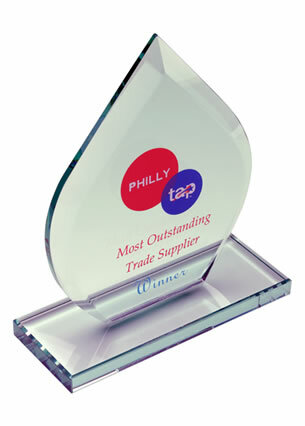 A contemporary crystal award with a distinctive sapphire blue base. 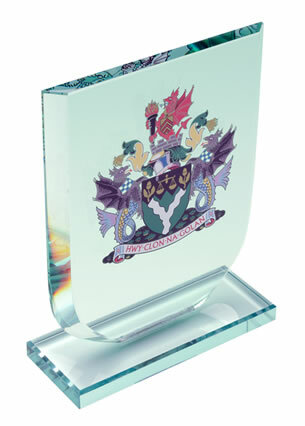 These 18.5cm tall diamond shape plaques are made in optical crystal and have thick bevelled edges. Ideal customised as recognition or achievement awards. A modern twist on a classic crystal awards plaque. 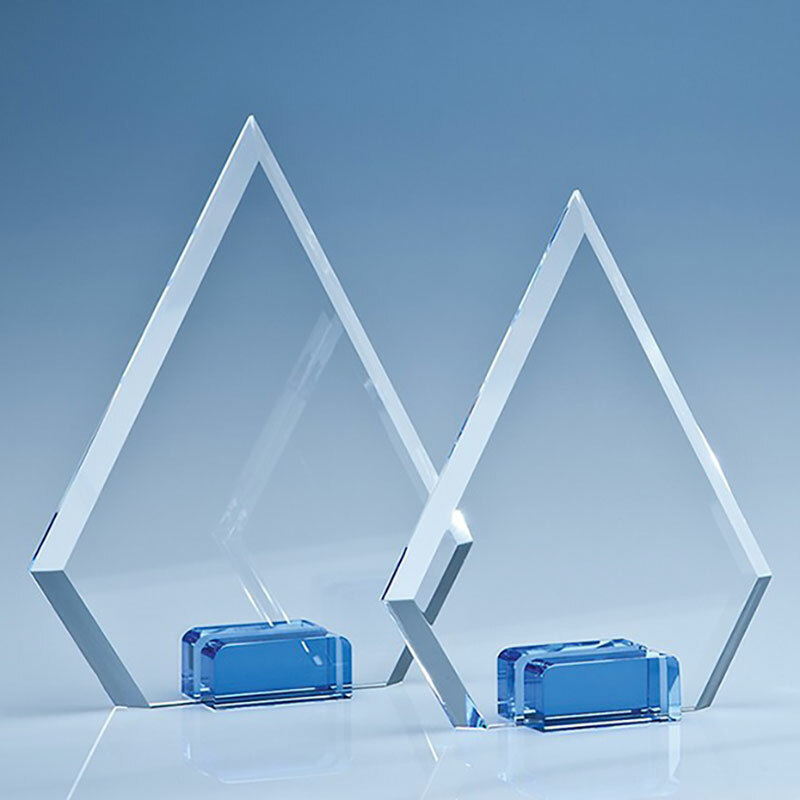 These contemporary awards feature a classic flat glass plaque, in clear crystal with thick bevelled edges, but comes mounted on a distinctive sapphire blue glass stand. The flat front of these 18.5cm tall plaques provides a large area for customising your award with event or achievement details. 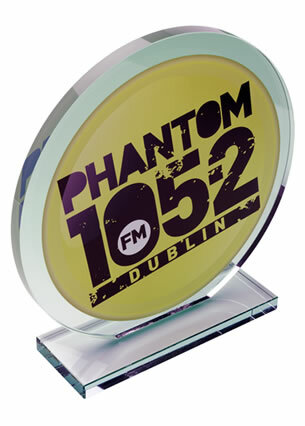 We offer both engraving and/or colour print options for you to personalise your awards plaques.